Nicky Lung was a Content Producer at OpenGov Asia's Singapore office. Trained in public policy, international relations and political psychology, she has previously worked for governments of Singapore and Canada. Nicky appreciates good public policy, quality public service and cross-sector exchange. 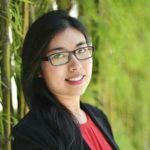 Born in Canada, raised in Hong Kong, and currently based in Singapore, she considers herself a global citizen (with chicken rice being her newly-found comfort food). Citizens can now access their personal information and ICA’s range of e-Services on MyICA, a single and secure digital platform.